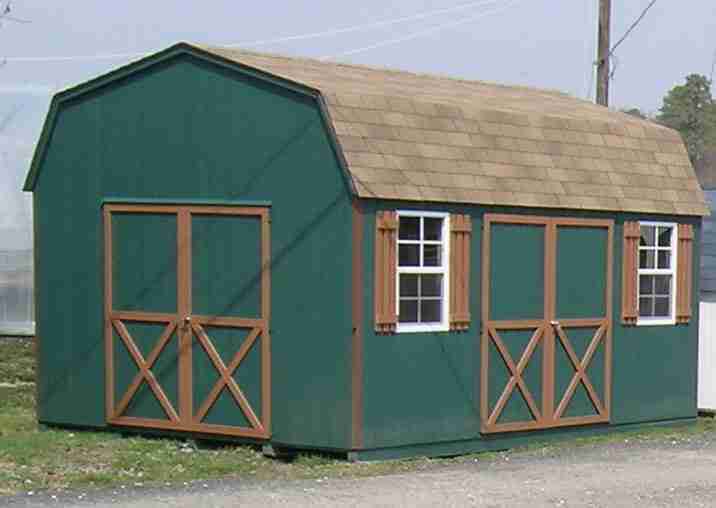 Dutch Barns are available in a variety of sizes and with vinyl a siding option. Checkout our MiniBarns for a lower cost storage solution. Each Dutch Barn has an extra set of double doors on the end. Two windows and set of double doors are standard, and any placement available on a custom order.